← Charges Dropped in August Coal Train Blockade Case! This article was originally published on the Deep Green Resistance News Service. 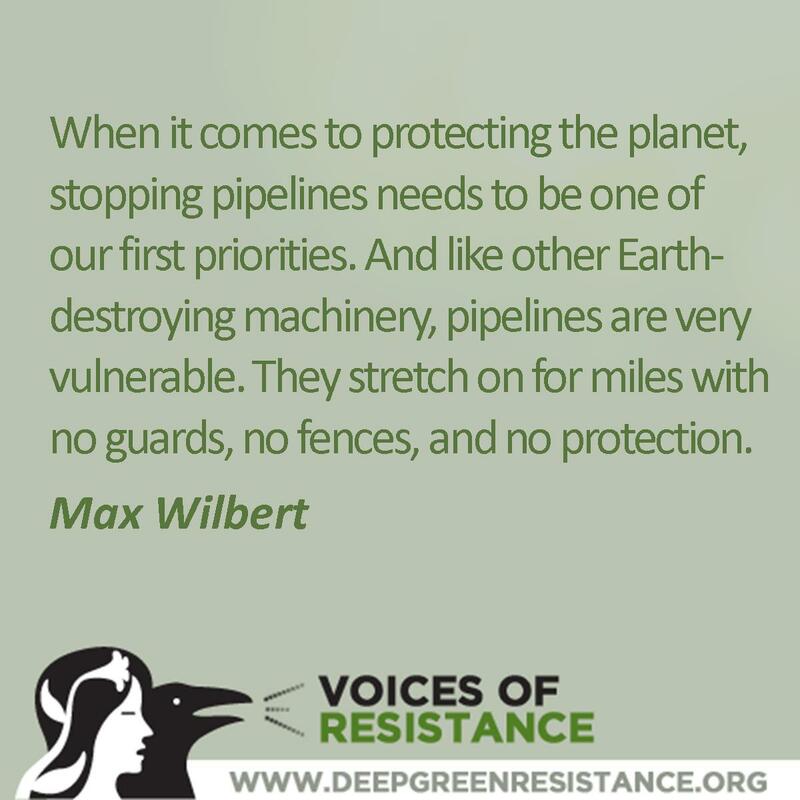 This entry was posted in Strategy & Analysis and tagged DGR writing & analysis, Deep Green Resistance, Ecosabotage, Max Wilbert, Oil, Pipelines. Bookmark the permalink.